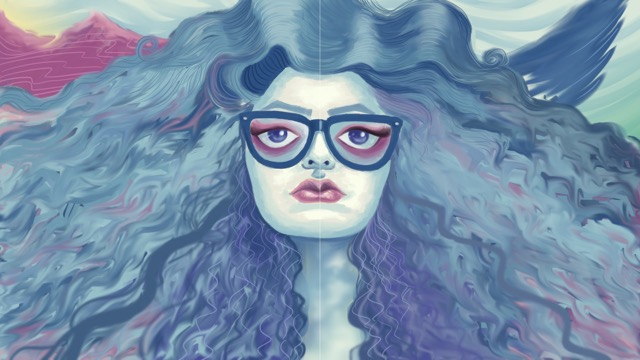 In a year that has seen secular bloggers hacked to death in broad daylight, progressive voices in Bangladesh made a bold move this month to spotlight the plight of homosexuals in the country by launching Dhee, the country’s first lesbian comic strip. 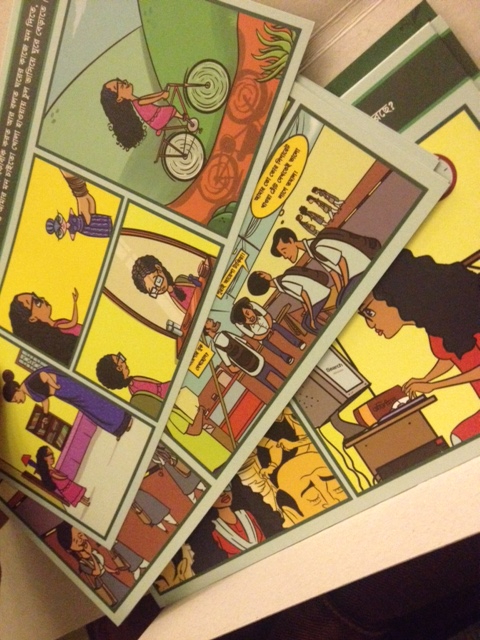 Created by Boys of Bangladesh, the nation’s largest gay rights group, the comic tells the story of Dhee, a young girl who faces intense pressure to conform to her traditional culture, leading her to ponder whether she should commit suicide, marry a man to appease her family, run away, or follow her heart. The advocacy organization aims to raise awareness around LGBTQ rights, gender, and sexuality in the country. 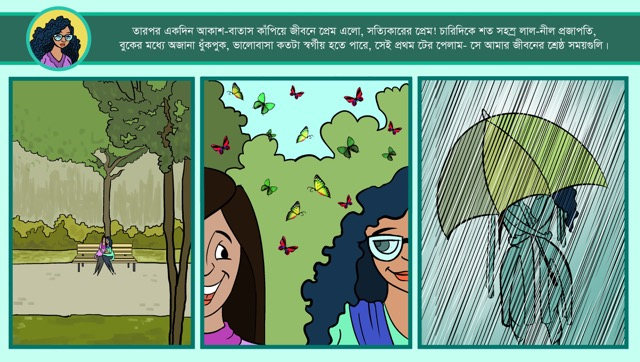 Boys of Bangladesh also plans to hand out the comic strip, which is a series of flashcards, at seminars and events in addition to running workshops on the issue. While prosecutions are rare, homosexuality is a crime in Bangladesh, punishable by life in prison. Even so, the culturally conservative Muslim-majority country has made surprising strides in terms of public attitudes toward gay rights, especially among young people. In 2013, the government officially recognized hijras (Bengali for transgender) as a separate gender, affirming a community that has existed for centuries in Bangladesh. And, last year, the first LGBTQ magazine in the country, Roopbaan, was launched. However, the team behind Dhee stipulates that despite this progress, the majority of people in Bangladesh remain “extremely homophobic,” and that the brutal murders of secular bloggers has cultivated a climate of fear and intimidation. Ahmed agrees that the project will not change attitudes in Bangladesh overnight, but sparking a dialogue about individual rights is in itself revolutionary.